In mid-winter, the arching quarter-mile-long sprinkler frames sit parked in Jim Anderson's fields in a thick crust of wind-carved snow and ice. Come summer, though, they'll begin their slow, circular rotation, watering row after row of corn, sugar beets and kidney beans. 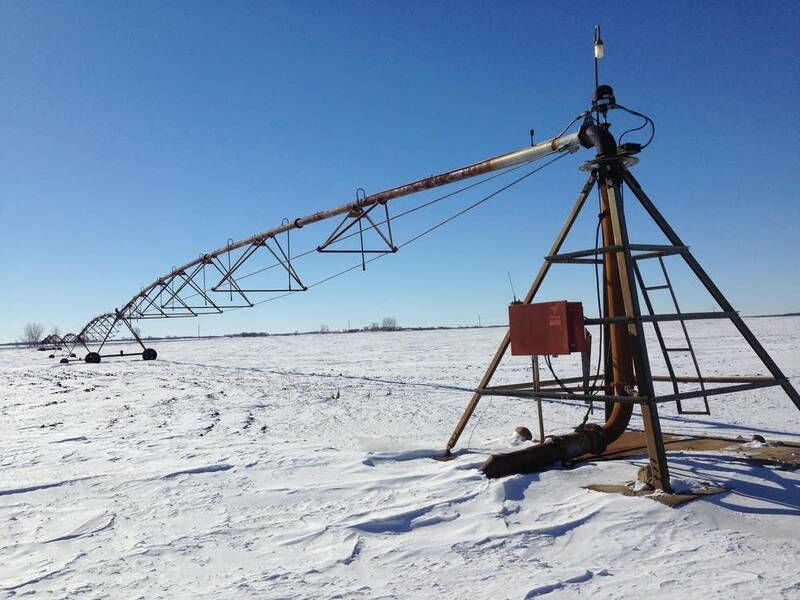 Anderson, the great-great-grandson of Swedish immigrants who started farming this land in the 1880s, relies on more than 50 of these center pivot irrigators -- each one pumping up to 800 gallons of groundwater per minute -- to produce the kind of harvests his ancestors could have only dreamed of. • "I thought water was limitless." Jim Anderson, Belgrade area farmer. 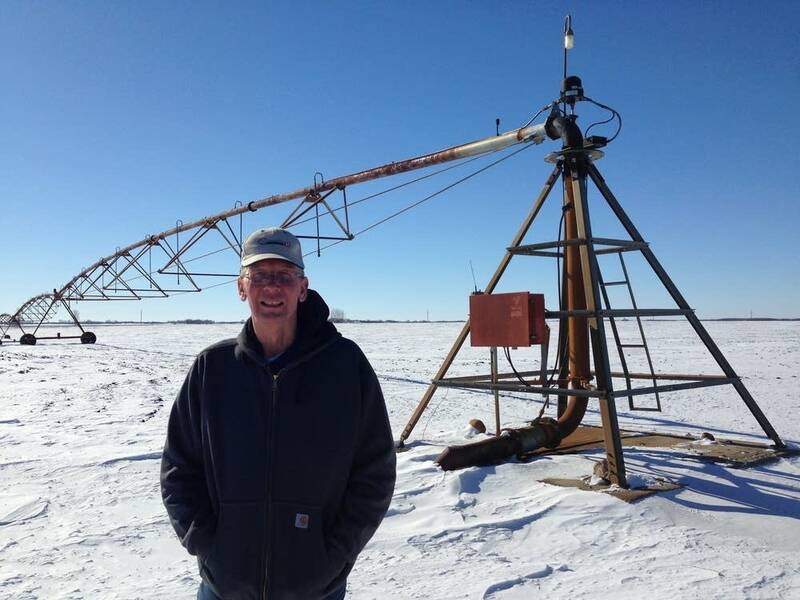 Modern irrigation technology has transformed this region in Stearns, Pope, Douglas and Kandiyohi counties in west central Minnesota, known as the Bonanza Valley. A former glacial river bed north of Willmar, it's largely covered with thin, sandy soils that don't retain moisture as well as more fertile farmland elsewhere in the state. 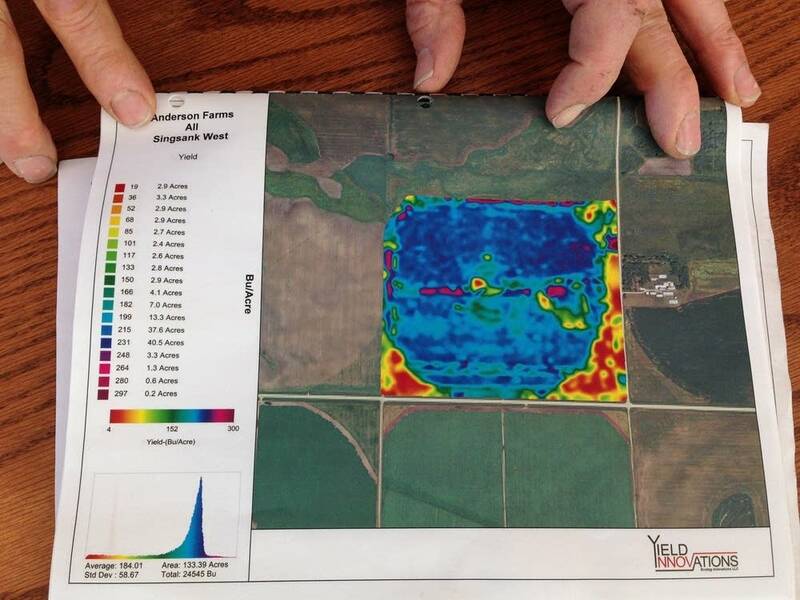 "Without the water, none of this would be possible," said Anderson, 61, paging through a book of yield maps in a newly built conference room in one of the farm's red outbuildings. Where his parents struggled in some years to raise a single cob of corn, 200 bushels per acre is now common. But as groundwater use in the area surges to record levels, questions are resurfacing about whether there will be enough water for future generations of farmers without having an adverse effect on the area's lakes, streams, wetlands and drinking water supplies. That is why the Minnesota Department of Natural Resources (DNR) has flagged the region as one of three places it is piloting a new approach to groundwater management focused on sustainability. The process is expected to lead to a better sense of how much water is available and how much enters and leaves the ground through precipitation and pumping. It may ultimately lead to a new way of assessing groundwater permit requests in a region whose economy depends on a steady flow. The area is one of the places Minnesotans are being prodded to take a different look at how they use water and how to make sure an apparent abundance can be made to last. No crisis exists at the moment, DNR officials stressed to farmers and others last month at a public meeting here to introduce the project. While reports of well conflicts - allegations that one well is causing a nearby well to dry up -- are becoming more common, they're still rare. The goal, they said, is to address any problems before they become serious. "We're seeing a trend that is causing us some concern, causing us to pause and ask the question: is this sustainable?" said Mark Hauck, the DNR's project manager for the Bonanza Valley Groundwater Management Area. Hauck is based in the department's Sauk Rapids	office near St. Cloud. Anderson and the other irrigators in the area have increased their groundwater pumping 175 percent since 1988, to a record 15 billion gallons in 2012. Statewide, groundwater use rose 35 percent during that same time. Meanwhile, the number of users tapping the area's groundwater continues to grow, too. The year 2013 saw the biggest jump in permit applications since 1977. The DNR approved 588 permits last year, up from 529 in 2012. Of those permits, 491 are for crop irrigation. Although some farmers dismiss the spike in permit requests as a blip caused by recent high corn prices, Hauck said the DNR has no reason to believe the trend won't continue. Water use applications in the area have increased every single year, through farming boom and bust, since the 1960s. Up until that time, the Bonanza Valley was a difficult area to farm. Towns like Brooten were "dying a slow death in the 1950s," as farmers who couldn't make a living put their land into an early conservation program and left the area, according to Brooten's 1986 centennial history book. A group of local bankers and civic boosters created the Bonanza Valley Irrigators Association in 1966 in hopes that irrigation might revitalize the economy. They helped attract a U.S. Geological Survey in 1968 that concluded the area had "adequate ground water resources" for irrigation. Questions about how much is too much have been raised from the very beginning. Local newspaper articles from the early 1970s refer to statements by "uninformed concerned environmentalists" about irrigation's potential to deplete groundwater levels in the Bonanza Valley. Then as now, well monitoring in the area has consistently shown groundwater levels fully recharge after every irrigation season. Irrigation well depth varies from 30 to 200 feet, and the DNR observes seasonal drawdowns in its monitoring wells of between 10 and 80 feet. But they rebound by the following year. The DNR is unsure whether that will always be the case if current trends continue, though. It is also concerned that groundwater pumping may be pulling surface-level nitrate pollution into deeper aquifers and possibly affecting water levels in lakes, streams and wetlands. Curiosity about surface water impacts led Robert Meyer of Paynesville to last month's public meeting. When he first bought hunting land west of town 27 years ago, he needed chest waders to walk across the property. Today, a pair of boots is all it takes. The wetlands are all but gone, and so are the ducks. Meyer is happy hunting deer and turkey on dry land, but he's uneasy about the rapid changes to the environment. His only guess is that it's due to a combination of irrigation and global warming. "My concern is what we're doing to Mother Nature," Meyer said. The U.S. Fish & Wildlife Service is trying to answer the question of how irrigation is affecting wetlands in the Bonanza Valley. Last summer it placed water gauges in a wetland north of New London and in three new monitoring wells next to the wetland. The hope is that the data collected might point to a relationship between groundwater levels and surface water levels in the wetland, according to Scott Glup, project leader for the Litchfield Wetlands Management District, which overlaps with the Bonanza Valley area. "We don't know that those impacts are occurring -- I want to make that clear: we don't know that -- but there's some reason to believe they may be, and if they are, that's important to us, and anybody that's concerned about our waterfowls," amphibians and other wetland wildlife, Glup said. "There's lots of wetland-dependent wildlife in Minnesota that are in trouble because 95 percent of the wetlands in Minnesota have been drained. There's not very many left." The concern is that as irrigation aquifers lose pressure during the summer, they may draw water down from the surface. This movement also has potential to pull surface level nitrate pollution into deeper aquifers that are used for drinking water. Jim Lundy, a hydrogeologist with the Minnesota Department of Health, said groundwater and surface water routinely interact with each other, though the exchange isn't uniform and it changes over time. "It's a push-pull kind of thing, and it's complicated," Lundy said. This same push-and-pull can cause interference between neighboring wells, if one causes another to lose pressure. Since 1994, the DNR has investigated and confirmed 10 cases of well interference, but seven of those cases have been since 2005. Other cases likely go unreported and are resolved neighbor-to-neighbor without involving the DNR, Hauck said. Lundy cautioned that people can't assume such cases will always be solvable by drilling a deeper well. That's because the Bonanza Valley, like much of western Minnesota, has naturally occurring pockets of arsenic at deeper levels. About 200 people packed a high school auditorium in Belgrade last month at the kick-off meeting for the DNR groundwater project, including several landowners who have hundreds of thousands of dollars invested in farmland and irrigation equipment that depends on groundwater. Several asked skeptical or critical questions about the state's well permitting process and how the new groundwater management approach might affect water users in the future. The answers aren't yet clear. Over the next year, an advisory team comprised of local irrigators and state and local officials will meet monthly to draft a plan for ensuring that the Bonanza Valley's water use is on a sustainable path. A year from now, the next step might be more monitoring and studies, but ultimately the department is working toward developing a water budget for the area that will help it assess water use applications in the future. "We're not presupposing any outcomes. We're not assuming that the level of water use is unsustainable. We're not anticipating or expecting any outcome. We're going to let the data take us where it will," Hauck said. "That's a process." 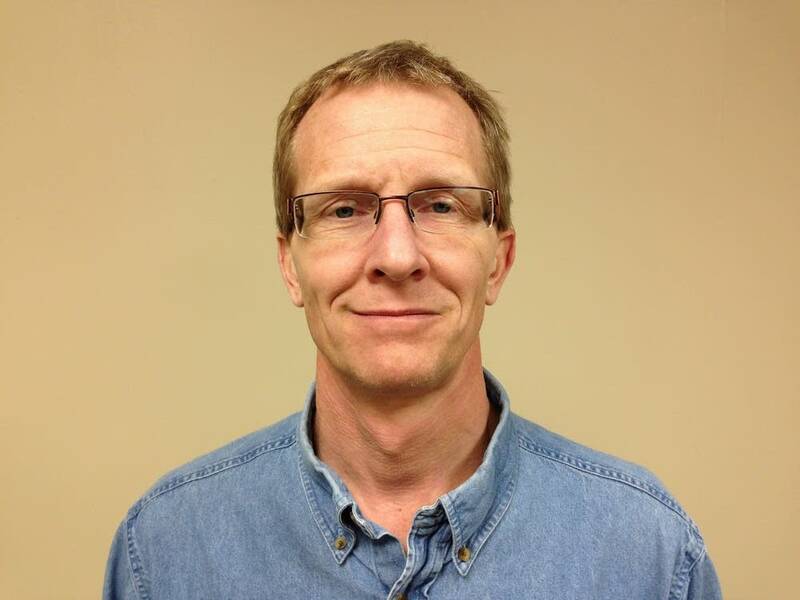 Dan Haugen is a freelance journalist specializing in energy, business and technology.